Illus. in full color. "Sick of being a bunny, P. J. Funnybunny takes off to become a bear. Hibernation gets dull, so he tries being a bird. 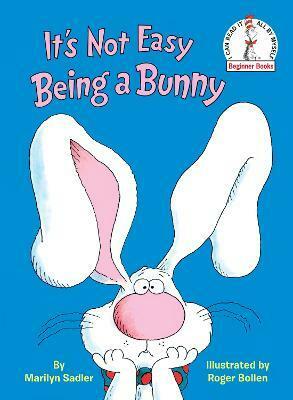 And so it goes, with beavers, pigs, possums, and skunks--till P. J. realizes that bunnyhood is for him. The short, repeating text is ideal for beginners and the bright, humorous cartoons will get immediate attention." -- "School Library Journal. Marilyn Sadler has been writing and illustrating children's books for 20 years. Her work has received many honors, including an IRA Classroom Choice Award and a Parents' Choice Award. She lives in Ohio.